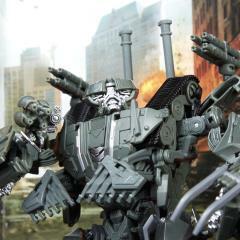 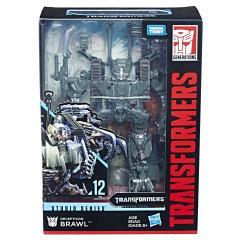 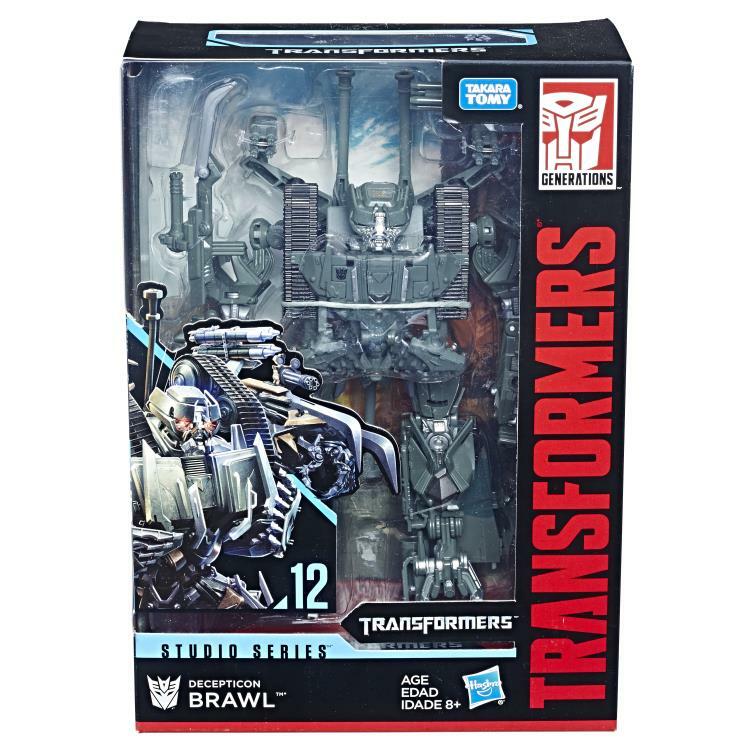 In the climactic Mission City Battle from the first movie, Decepticon Brawl rips through metal and concrete, relishing the frightened screams from onlookers. 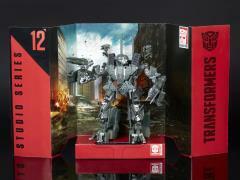 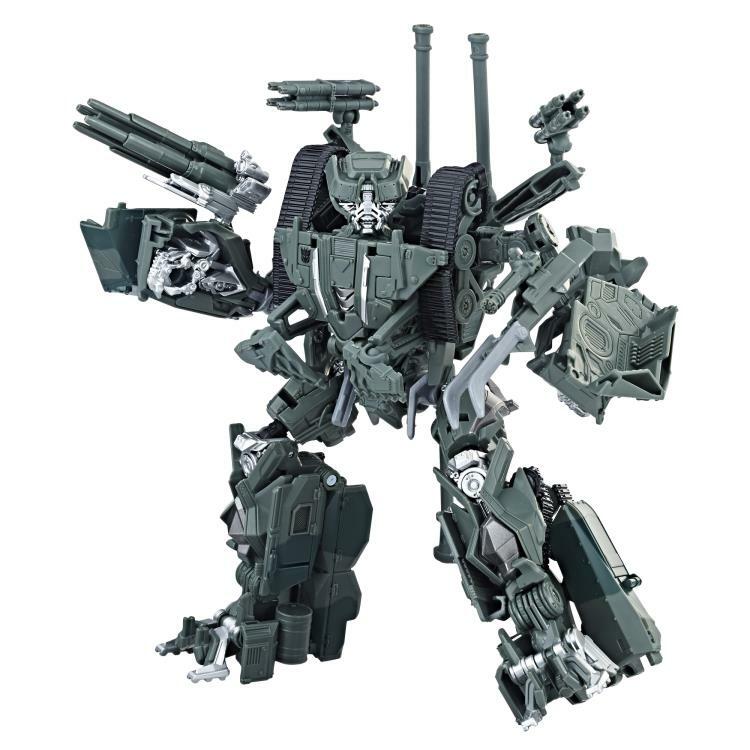 With unyielding power, he creates a path of destruction straight towards the Autobots. 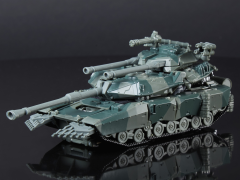 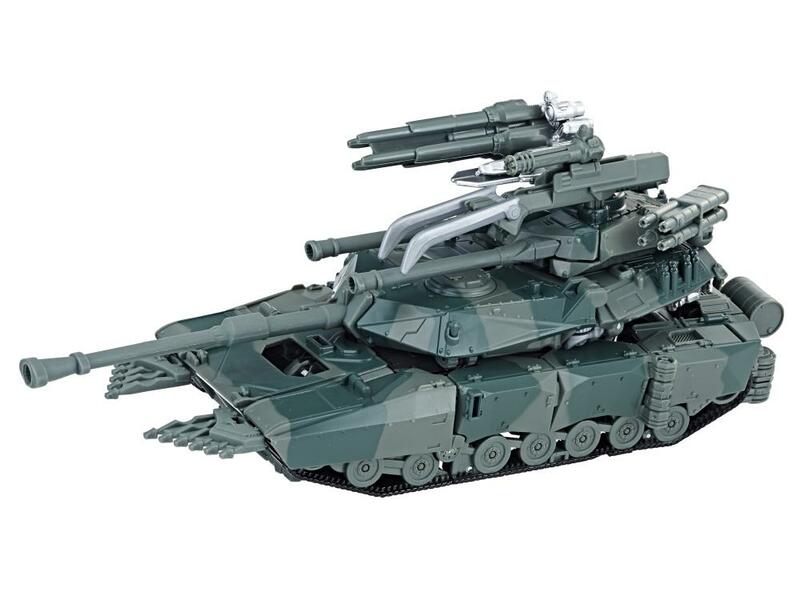 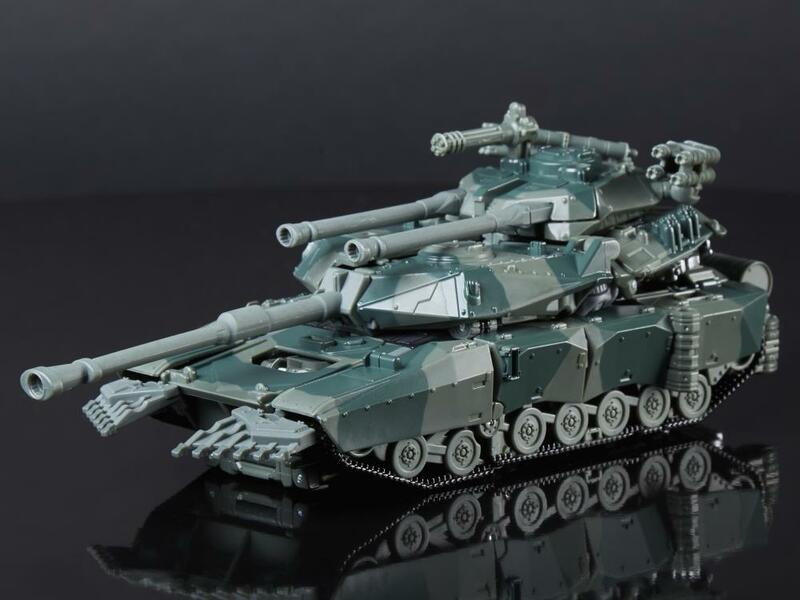 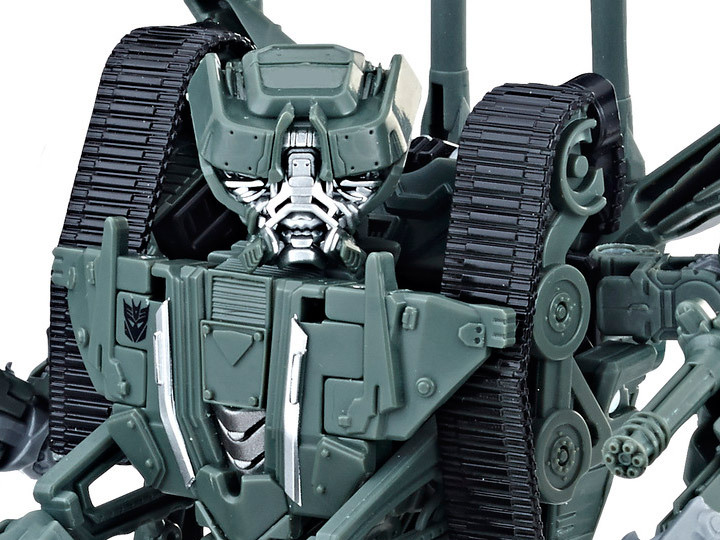 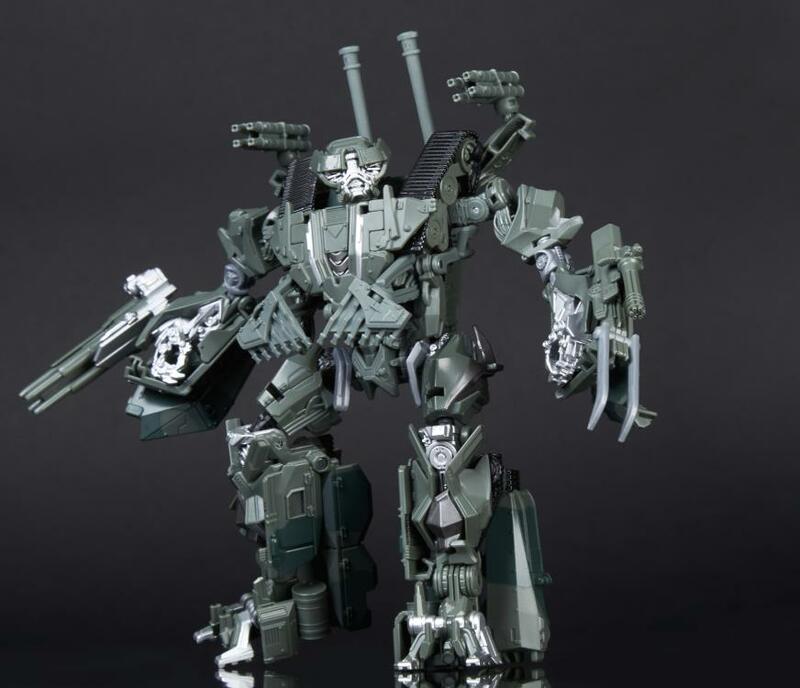 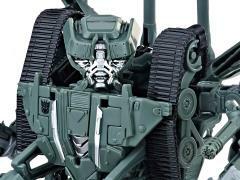 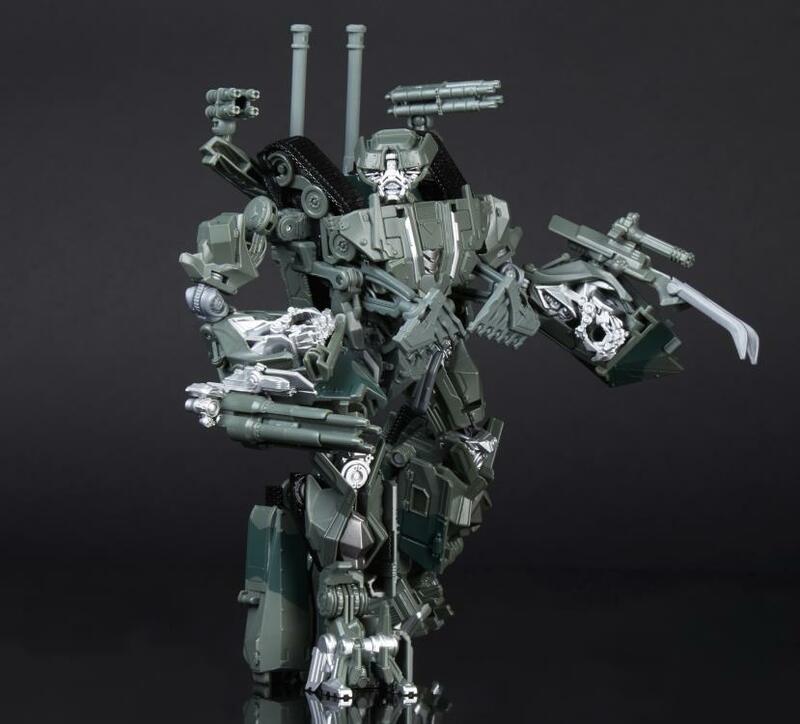 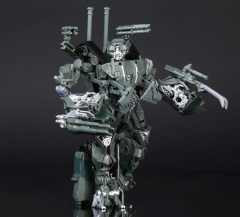 This Studio Series 12 Voyager Class Decepticon Brawl figure converts between robot and tank modes in 36 steps and comes with 4 weapon accessories. 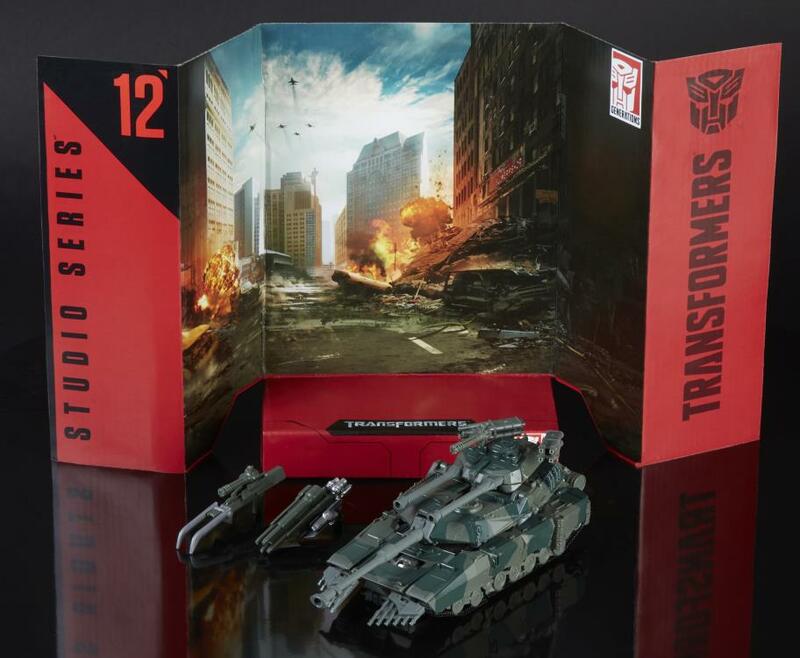 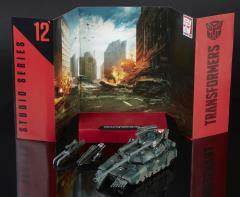 Remove the backdrop from pack to showcase the brutal Decepticon warrior in the Mission City Battle scene.